With his grand scale and richly colored canvases and studies, John William Waterhouse (1849-1917) was one of the most influential painters of the 19th century. 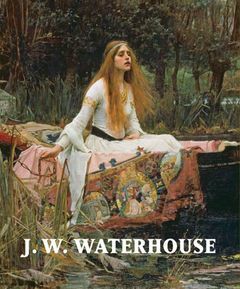 In this brilliantly illustrated survey, edited by a leading Waterhouse scholar, the painter's seductive vision of femininity is captured in sumptuous reproductions and illuminated by an engaging and informative text. Published to accompany an important exhibition of the artist's work, the book explores Waterhouse's creative responses to such contemporary concerns as medievalism, the classical tradition, and spiritualism. A comprehensive examination of his life and work, including his well-known painting The Lady of Shallott, this volume explores also the artist's connection to the Pre-Raphaelite Brotherhood and his engagement with French art of the period.